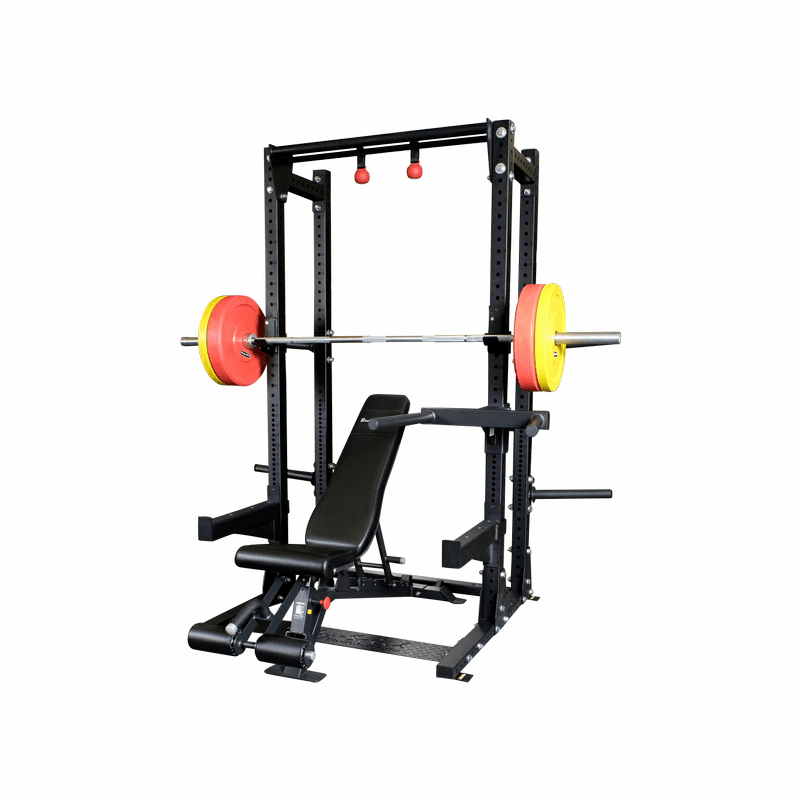 The SPR500BACKP4 Extended Commercial Half Cage Package includes everything your facility needs for heavy weight training. 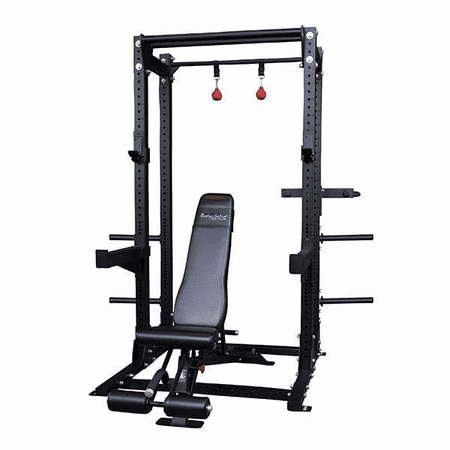 The package features Body-Solid�s SPR500 Commercial Half Rack as well as the Half Cage extension, SFID425 bench, SR-DIP Dip Station Attachments, SR-CB Cannonball Grips and SPRDCB Dual Chin Bar. 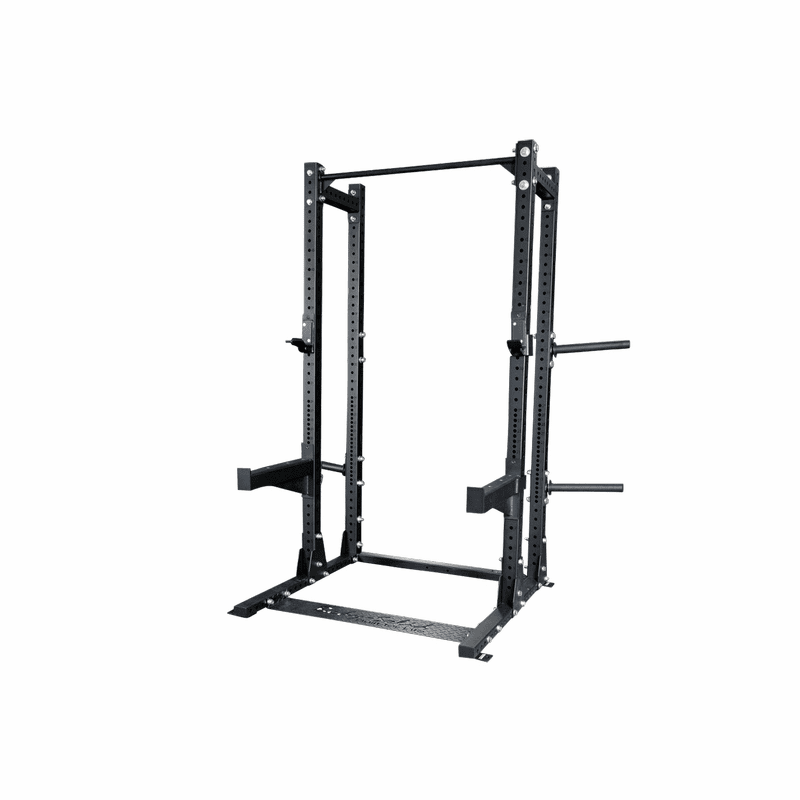 The SPR500BACK is the same base rack as the SPR500 Commercial Half Rack but also includes a rear extension with Olympic plate storage (four weight horns, SR-WPH). 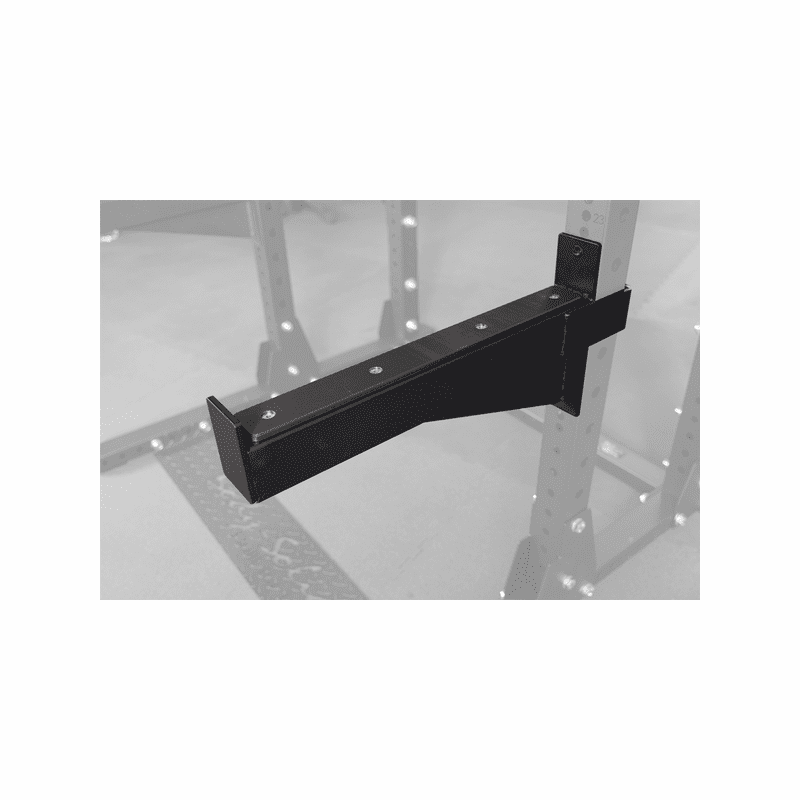 The rear extension is a perfect place for the optional storage tray (SPRST), U-links (SR-UL) and many more options. 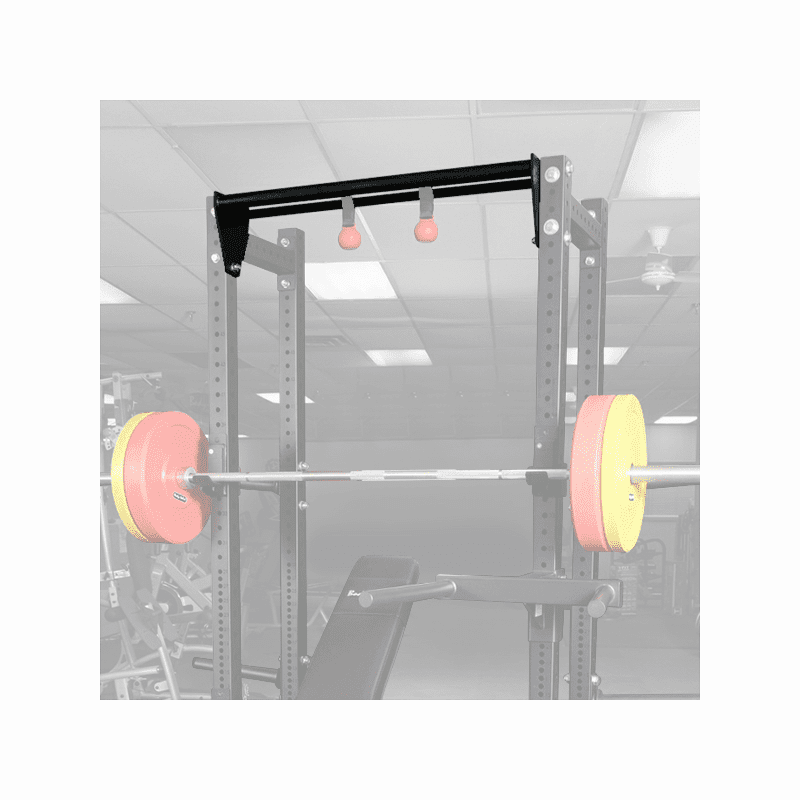 The rear extension combined with the pin and pipe safeties (SPRPS) create a great station for rack pulls and other exercises. 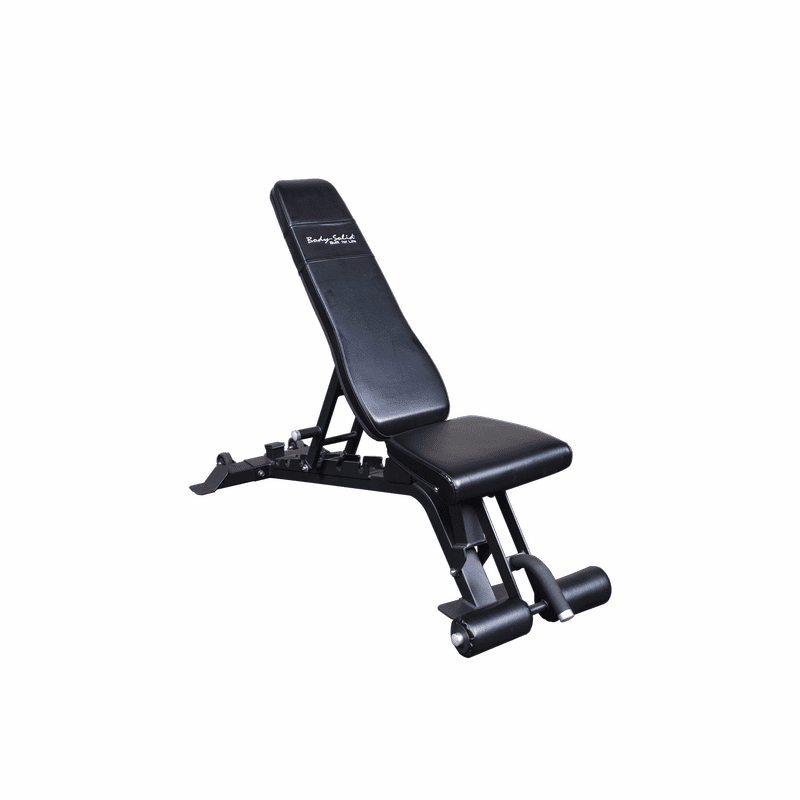 The SFID425 bench is one of the strongest and toughest benches in the industry with thick, durable padding and multiple independent back and seat adjustments. 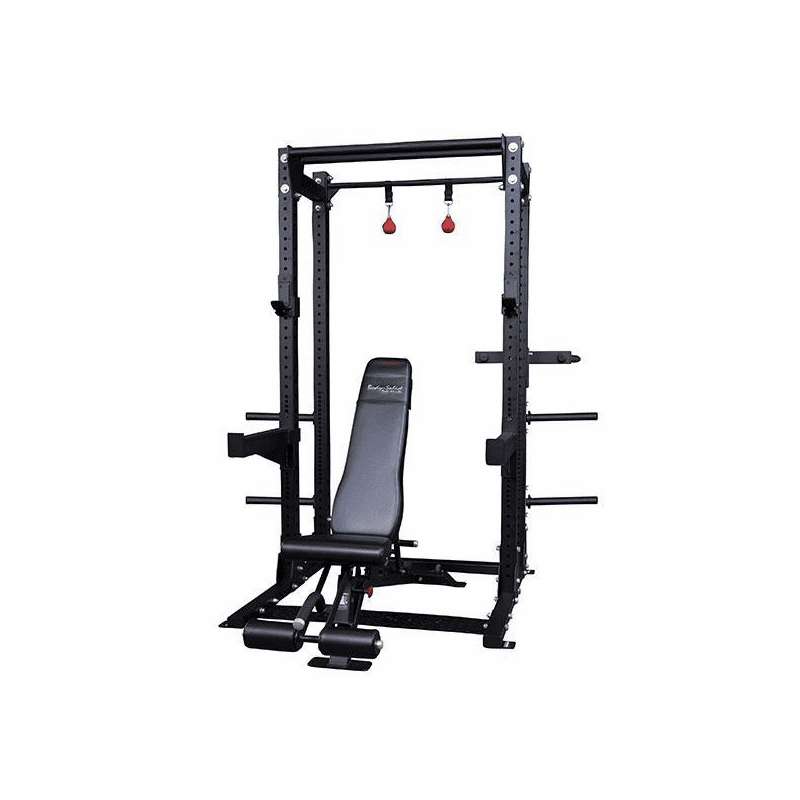 The SFID425 also features a foot hold for serious decline workouts. 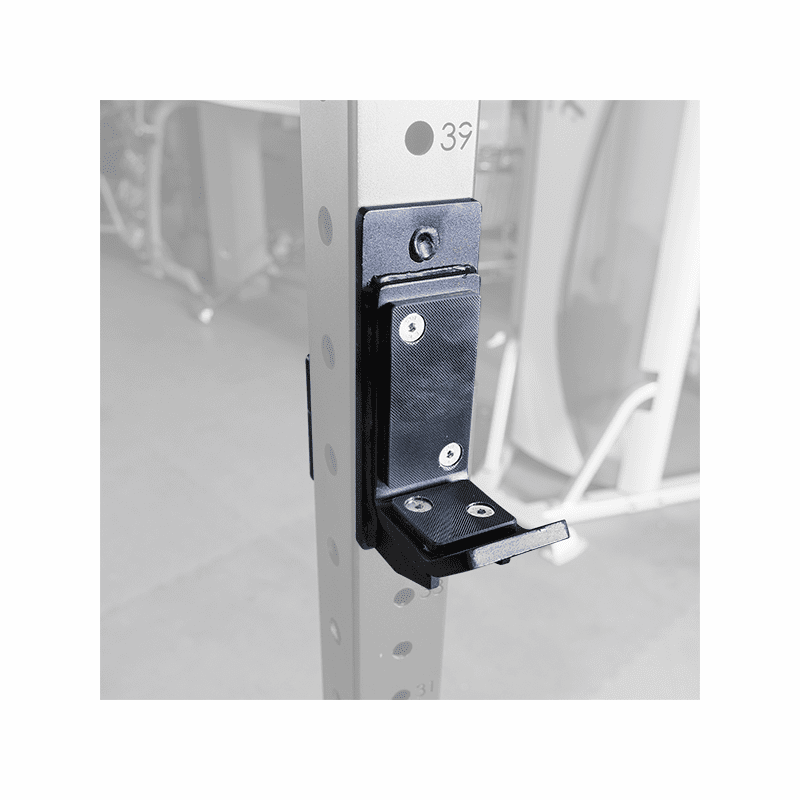 The SR-DIP Dip attaches to the front upright of your SPR500 half rack. The height is adjustable to fit any size user. The large diameter grip is comfortable and tapers ensuring a proper fit. 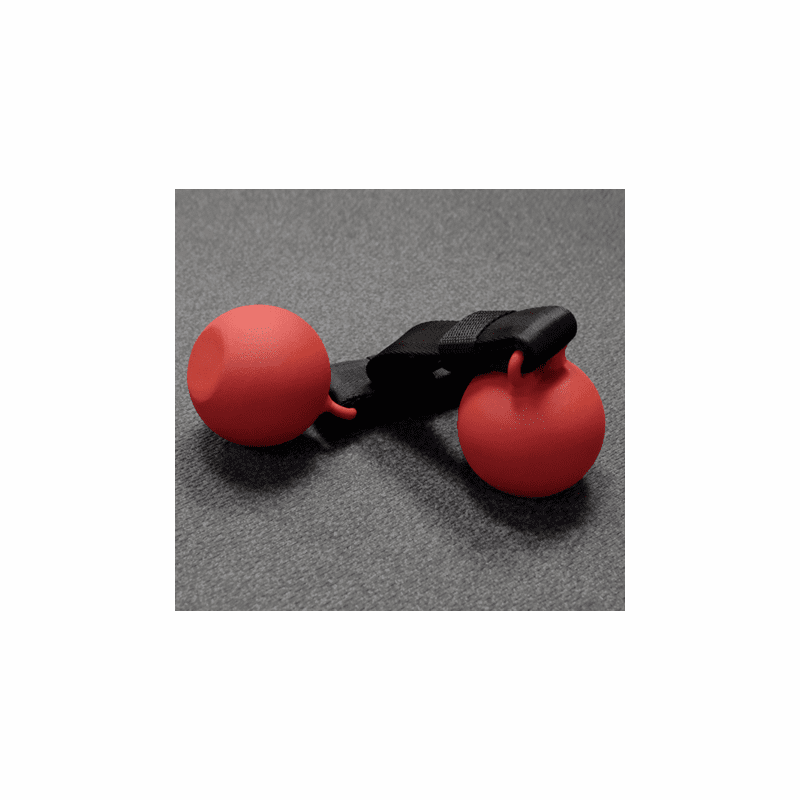 SR-CB Cannonball Grips help aid in grip and upper body strength. 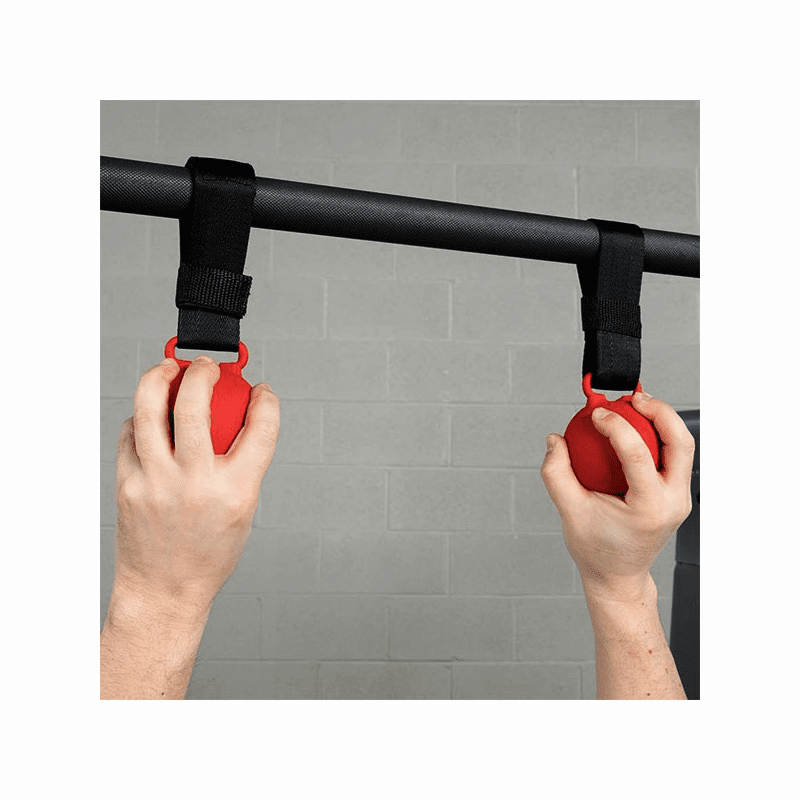 Non-slip matte red paint finish and a strong adjustable nylon strap provides safety throughout the chin-up exercise. 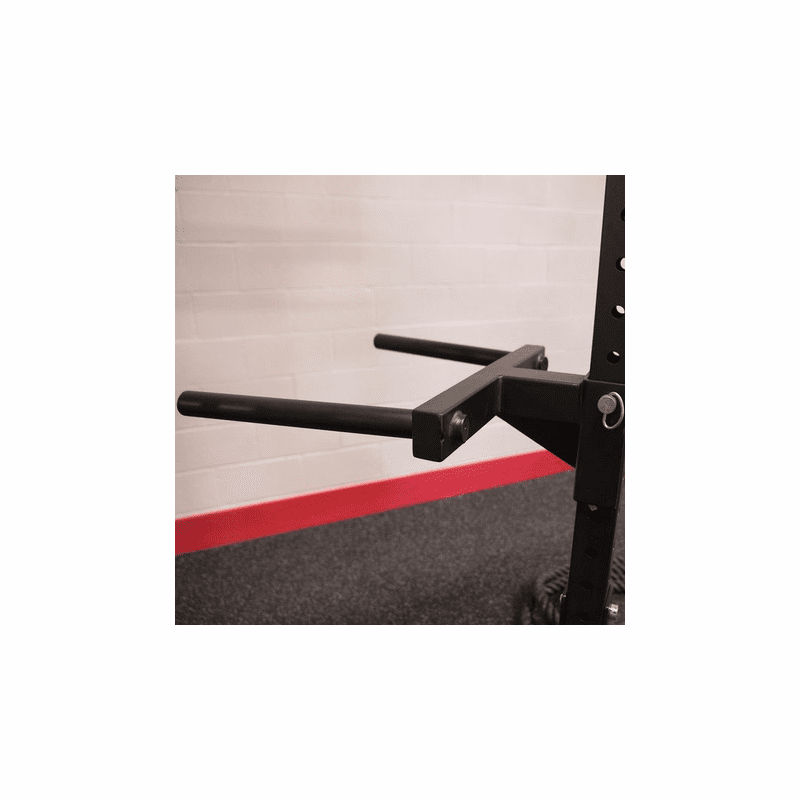 The perfect accessory for muscle-ups and all other pull-up exercises, the SPRDCB Double Chin Bar offers both a traditional and a fat diameter chin bar in the same section for unmatched effectiveness. Also includes: FID Bench, Dip Station, Double Chin Bar, and Cannon Ball Grip.